With a 10 year track record Melbourne Shade Sails™ is Australia’s most trusted supplier of quality shade sail installations. Unlike the cheap imports used by many of our competitors our UV- and shower-resistant sails are custom fabricated right here in Melbourne to produce a vastly superior result for our customers. 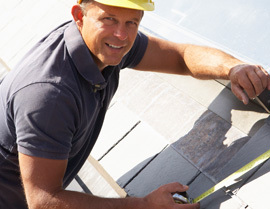 Ultraviolet inhibitors prevent any harmful rays from penetrating the fabric, providing optimum protection against sun damage to the skin, such as sunburn and skin cancer. Offering up to 98% protection no matter what time of day it is or how extreme the heat, our top-quality shade sails keep you protected all day long, all year round. 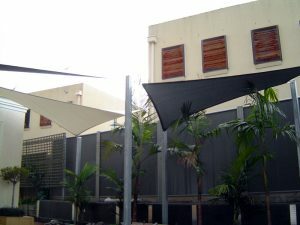 Shade sails also provide limited shelter from rainy weather to let you enjoy a dry outdoor space even in a light drizzle. To allow airflow, our shades are however never completely water proof and should not be relied upon to protect items that are sensitive to water.